Nemo Cay Resort is the most exciting vacation rental development to ever hit North Padre Island. The complex is in a secluded yet centrally located position on North Padre Island adjacent to the all-new Schlitterbahn water park. Nemo Cay Resort will be the dream location for families looking to enjoy the all new water park as well as the many other area attractions, including beautiful beaches, great fishing, golf, surfing and so much more. And wait until you see this pool! It'll include a shallow water area for the kiddos, spray fountains and tropical landscaping we'll be found throughout the entire complex. Coming down in the winter? Then you'll really enjoy the heated pool as well! You can easily sleep 8 in this first floor, two-story unit which comes with a king size bed, queen size sleeper sofa and a full/twin bunk bed with a twin size trundle bed. You'll really enjoy the beautifully decorated interiors which will include comfortable furniture, granite counters, hardwood flooring and soothing color schemes. The open and airy floor plan has a fully stocked stainless kitchen, dining, living area and full bathroom on the first floor. Both bedrooms are on the 2nd floor and each comes with their own private bathroom. The washer and dryer are also located on the 2nd floor. This property is located next to several others managed by Padre Escapes which may be booked together making it ideal for large groups or gatherings. This unit requires a minimum 2 night stay, bath towels for every guest and bed linens are provided. It was very nice and had everything we needed for our stay. We were very happy"
Found this gem after our home was damaged by Hurricane Harvey. We stayed two months and had all the comforts of home. Much better than a small hotel room. It was a great location and not to far of a drive to the beach." My brother and I stayed in a 2 bedroom condo from Aug 5-8, 2016. His daughter, her husband and 2 kids visited us during the day. The kids(6 & 8) could have spent all day in the pool. The adults loved it too. The unit was perfect for our needs. We were able to easily walk to the strip center behind the resort, and everything else we needed was within a mile. I've rented condos and houses several times a year for over 20 years, and right now, this one is our favorite, mostly due to the pool and playground. " The unit was nicely laid out, incredibly convenient to the Schlitterbahn and nearby beaches. Walls between units are paper-thin, so we heard all the laughter and walking around in the adjoining units. Refrigerator wouldn't close all the way by itself, so we had to keep checking it. Wifi wasn't working, but mgt company helped me with a workaround. Overall, very nice." Family and I really enjoyed our stay. Easy check in and check out. 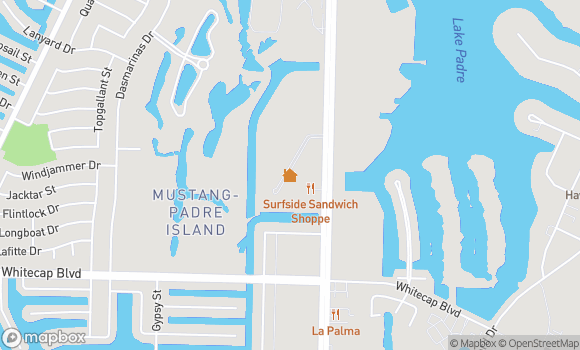 Great location for fishing with pier, jetty, Packery channel and Port Aransas. Will definitely return." Great location..great condo..great property..highly recommend "
Last minute weekend get away and everything went smoothly. Very peaceful. Comfortable townhomes and courteous/professional property management. Definitely plan to return! Thank you!" We stayed here with my family on Labor Day and loved the location. Very quiet and the accomodations were very clean. Will definately stay here again." The place was great! It was a perfect location for my family, and our rental was very nice. We came to the coast for my father's birthday, so it was great to find a place where my siblings and I could all stay, including the kids. Also, we loved the pool! The check in/out was really easy, and everything was virtually hassle-free. My only disappointment was when a member of the staff emerged from the pool bathroom smoking a cigar, leaving the bathroom filthy and stinking. Very unprofessional, and gross. But, besides that experience, every other member of the staff was great to work with. And, we loved the place!" Perfect location, friendly staff, everything you need for a great vacation. Just bring clothes and beach stuff and your ready!!! " It was a very nice, clean and comfortable townhouse. We enjoyed our stay."